Final testing for Community Weaver 3 is finished! A presentation of the new and exciting features is available HERE you can now see the new Demo site. 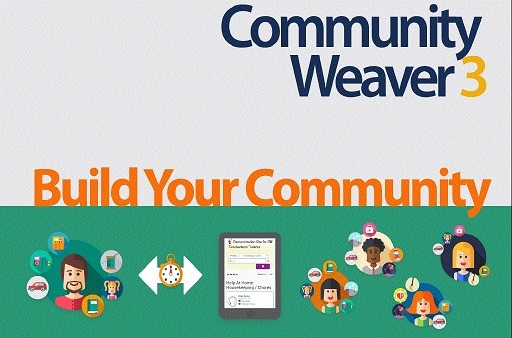 Community Weaver 3 is streamlined, smart, and nimble. Members will love the simplicity and responsiveness of their pages, will find it all at the click of a mouse, and they can quickly get down to building community in earnest. We are already getting rave reviews from our test sites in Media, PA and NOLA TB in Louisiana, and we are gearing up for a smooth transition for TB’s ready for the switch. We hope you take a moment to check out the DEMO, so you can see why we’re so excited! Like all Timebanking endeavors, it has been a labor of love, streaming from the hearts of coordinators who stepped up to give their honest and passionate input and their ultimate wisdom from the field. TimeBanks USA teamed these leaders with software developer Kent Davidson, who created CW 3 with the stability and adaptability to propel the Timebank Movement forward into our bright future. We are so excited that CW 3 is now a reality! We couldn’t have done it without the vision, knowledge and time of dedicated Timebank coordinators. Thank you, everyone, for your time and expertise! Reciprocity is our survival and our path to sustainability, and it is based on trust. In the spirit of trust and the Gift, Community Weaver is our gift to Timebankers everywhere, and we offer it in the Gift Economy. You may give your time, your money, and your infectious enthusiasm in Reciprocity. In order for Community Weaver to succeed, we must remember that relationships take work. We may be used to someone else paying the costs of software development, lulling us into complacency and disconnection. Remember, we don’t pay the actual cost of software development because we are paying in the myriad ways of capitalism, with intrusion into our website histories and cookies; we pay dearly in the loss of control over our lives. To take back trust and the Commons, we all must take responsibility for the whole and hold ourselves accountable for the change we want to see.